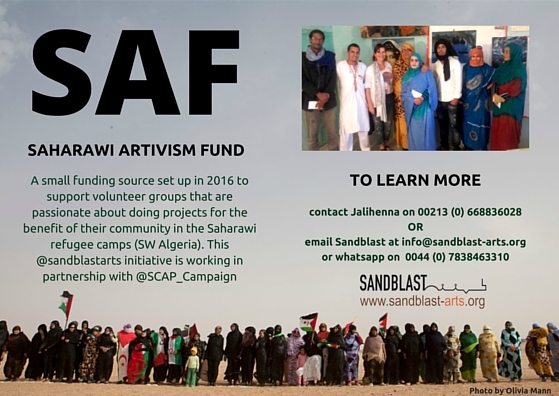 ​This fund was created in 2015 to support the strengthening of Saharawi civil society and to encourage small-scale volunteer initiatives that engage the community to bring about positive change in the cultural, social, environmental lives of the Saharawi refugees. Projects receive up to €500 for expenses and must be completed within the year. The SAF is yearly funded through our Run the Sahara fundraising & awareness-raising event, as well as through individual donations. 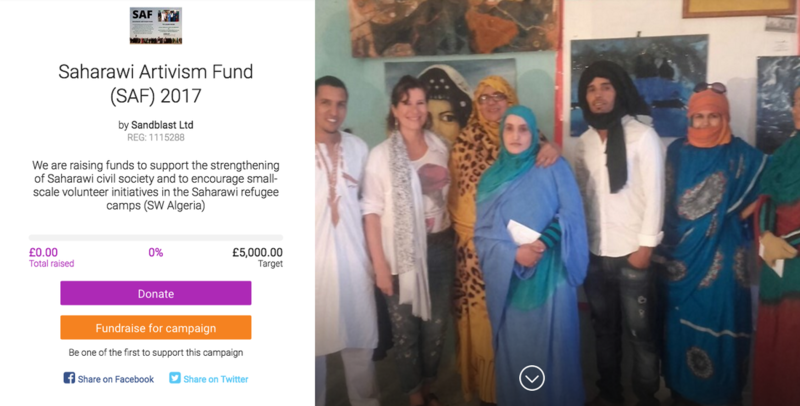 In 2017, we aim to raise £5,000 to award funds to 5 new projects, provide continuity funds for one of the 2016 projects that shows the greatest effectiveness and benefit for the community, and to cover expenses of SCAP for its coordination work. 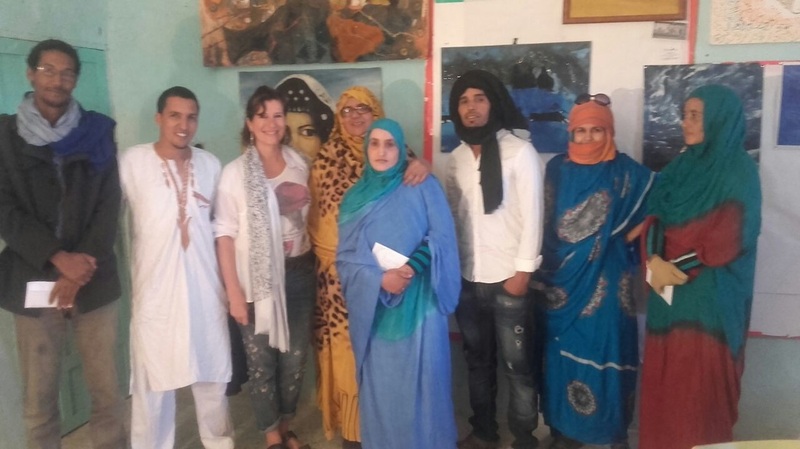 Are you a community group in the Saharawi refugee camps? Do you have a project you want us to know about? Check out our SAF application guidelines and contact SCAP and/or Sandblast to learn more. Do you want to support SAF 2017?